In the 1950s in the United Kingdom, there was a group of authors, playwrights, and poets who were loosely described as “angry young men”. Their anger and youthful passion was obvious in their writings and their themes for their writings. Their anger was mainly aimed at the establishment – they felt let down by the state and were angry at the powers that be for being less than perfect, and for failing to help those who they felt truly needed the state to help. The “young” was not just a commentary on the age of these writers but also a reflection on the immaturity of their arguments, which were seen as abrasive, almost incoherent and inconsistent. They reminded many of a young child simply yelling “it’s not fair”, while adding nothing to the conversation other than their tantrum at the establishment. Many of the authors described as the angry, young men ended up angry with each other, refusing to appear in publications with some of the others due to what appeared to be minor disagreements. Some of them were happier being on the outside and attacking the mainstream, even when the mainstream wanted to listen to their views and even learn from them. Why am I discussing this on a blog for people who want to live the grace life as disciples of Jesus? Because very sadly, I can see the grace movement is raising a generation of angry, young men. The way they talk to each other is marked by their anger at the establishment, which for them is the denominational church. They hate the denominational churches, they hate religion and they hate legalism. The angry young men in the fifties hated the state because they felt the state didn’t provide enough for its people, to quote one of them “the wrong people are going hungry”. They hated the state, but a more mature approach would realize what was to truly be hated was hunger. The angry young men of the grace movement would grow up and impact the world if they were half as angry at sin, selfishness, anger, rage as they are at the establishment. But, sadly they are often as angry at each other, dividing into smaller and smaller factions, until some seem to be factions of one, disagreeing with everyone but themselves, often ripping the Bible to pieces to defend their rage at the institutional church! Try to suggest these people calm down, speak with a sweetness in their voice and immediately you are now vilified as part of the institute. Their anger quickly will turn personal. And that is where you can see a deep immaturity. Listen, I’m not against saying things strongly. Listen to me preach, I will tell it like it is. So will Andrew Wommack, Duane Sheriff, Greg Mohr or any Grace preacher worth their salt. But some of the “grace” people blogging today need to start growing up. Just shouting into the wind “it’s not fair”, “correcting people is not grace”, “i hate the god of Andrew Wommack”, “everyone who disagrees with me is a Pharisee and a slave to the institute” helps no one. You sound like that little child stomping his feet and shouting it’s not fair. The angry young men in the fifties had a mediocum of success because it’s easier to listen to a rant and get angry than seriously think about how to solve the issue facing a post-war Britain. The angry young men in the grace move have a mediocum of success because it’s easier to listen to a rant and get angry at the institute, the other, something external, than actually be a disciple of Jesus, to renew your mind, to dream big, forgive, to minister out of the Spirit and flow in the gifts. 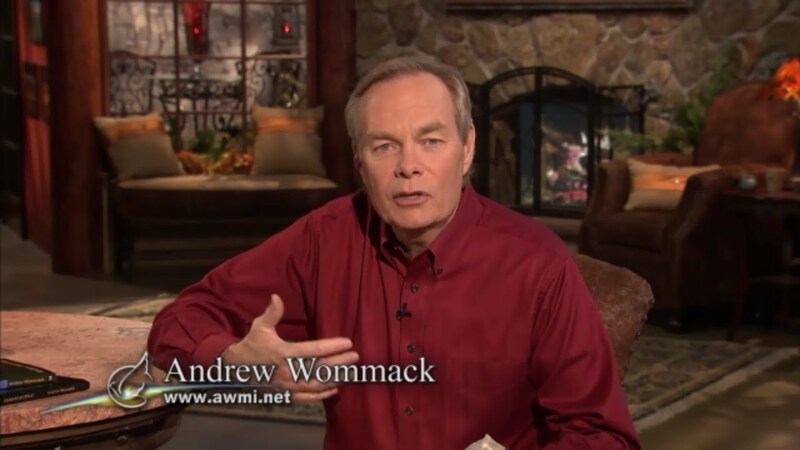 Andrew Wommack isn’t getting any younger. The new generation of grace preachers must mature, must become less reactionary, and must become the kind, mature men thay can shepherd, teach, equip and train. Any donkey can knock down a barn. The church deserves better. Be better. It is one of the greatest honours of all that Tree of Life Church has the opportunity to host Andrew Wommack this October. And that meeting is going to bless all of us. But did you know not all the people who go will be equally blessed. Why not have a read here and find out how blessed you are going to be. If you don’t like the level you will be blessed, do something to change it! If you are part of Tree of Life Church, regularly attending, serving, tithing, part of a Living Church. If so, this meeting is just another meal – albeit an awesome one – from a phenomenal diet that you are feeding on consistently. In fact you are probably not sitting at home today desperate for Andrew to arrive to London, but you are looking at this meeting as a chance to serve. You are looking forward to church this Sunday more than this event in October. The largest blessing in the room is always on the giver, never on the receiver. And if you are part of Tree of Life Church your tithes, your love, your giving has already paid for the ExCeL Centre, and the sound, and the transport, and the visual, and the overflow room, and the gifts to newcomers, and so on and so forth. You have already invested financially in this meeting – that is genuine faith and that pure faith only leads to increase. You are part of a local church, perhaps Tree of Life, perhaps another church. You are consistently growing in your walk with God and you are grateful for Andrew Wommack coming to Tree of Life Church, but you don’t see this as an event in your life that will make it or break it, but you see it as another step in the process of your growth and development. The Christian life is not experienced by event, but by a process of day to day living which can include events. You will be going to the event to worship, to listen, to encourage, to give in the offering and to contribute to the day as much as you get from it. You are excited about this event, but not to the point you cannot serve God today because you are too busy thinking about tomorrow. Your church attendance is spotty, and you know it. Your discipleship is weak and you are aware of this. Maybe you left Tree of Life Church or another church annoyed it wasn’t all whistles and bells every week, or confused because it wasn’t your definition of grace. You think the crowds are more important than the community. But you are aware things are not what they should be and are looking for a chance to return to walking with the Lord, to return to making an impact in the world, you want to live on fire for Jesus and are using this meeting as a point of contact to do this. God will honour that, God is kind and loving and gracious. He is looking for the prodigals to return home, and to be honest, so are we – Tree of Life Church is praying for the prodigals to come home, and that’s going to happen. Why not be one of them? This event could be the beginning of a whole new process, and you could never be the same again. You are humble enough to realize you need a kick start. This will be a great fresh start for you! You only lurch around from conference to conference looking for what you may devour. You live for meetings like this. You haven’t been in church meeting since you graduated Charis, and you certainly haven’t ministered anywhere. You turn up to this meeting with an entitled attitude, expecting to get this and that, expecting to get a seat at the front, and you don’t mind acting unChristian to get it, pushing and shoving people out of the way to get your seat! To get your piece of the anointing! You don’t put a penny in the offering. You don’t spend a penny on product. This meeting will be the last time you hear Andrew Wommack all year, unless you lied about being a pastor to go to the pastor’s and minister’s conference the week after! You don’t ever grasp that meetings like this are not put on by the guy who is at home every Sunday morning cursing the church and then out of the same mouth begging for a pulpit. These meetings are put on by people who love each other, who give to each other, who have divine favour together, who serve and who dream big. These meetings are put on by local church. You fail to honour Tree of Life Church, the hosts of the meeting, and even just say a simple thank you to one of our ushers or greeters. Tell me how blessed will you be when Andrew comes to town? 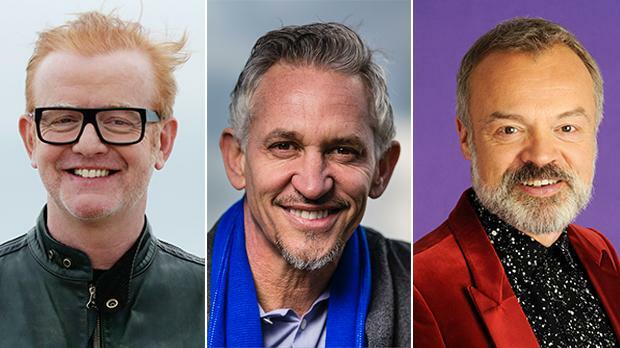 This week the pay of many BBC presenters has made its way into the public domain for the first time. In a time of austerity, in a time in which the nation is still running a deficit, at a time where nurses and teachers at the top of their pay scales cannot get more than a 1% pay rise, this information about how much certain celebrities are paid has been contentious to say the least. The red herring here is sadly what most people have jumped on: the seeming disparity between male and female salaries. That is what Facebook chatter, and many of the newspapers have run with as the main story. The real story is bigger than this: should we have publicly funded television at all? Should someone who only watches Doctor Who really be expected to fund all of the network? Should TV be funded by government? It was assumed in the early days of TV that it was important for the government to get involved in broadcasting due to the technological costs. Now, in our over 500 channel days with internet and so on, this argument is over. What concerns me with most modern arguments for public funded TV is that they are staggeringly paternalistic: we are providing the people with the TV they need. No, the government does not get to decide what we need. The social elite should not be creating a false supply, but rather demand and supply should go together as per a free market. The problem of state provided TV is it can, divorced from the economics of supply and demand, easily become a political mouthpiece, a place of propoganda. I won’t discuss this on this blog, but a few minutes on Google should easily convince you of outrageous and harmful bias at the BBC. The background of this argument, that advertising funded TV would be reeuced to cheap reality TV and soap operas all day long had viability to it until subscriber funded TV such as Netflix and Amazon started producing high-quality niche TV that was cheaply available. To me, the artival of subscriber TV should be the natural end of the BBC as state-provided TV. There are so many funding options now, different kinds of subscribers, TV on demand, and more TV than ever before that state TV is unnecessary and irrelevant. But like I said it goes deeper than irrelveant, real questions must be asked about whether state funded TV can ever be fair, balanced, reflecting both sides of an argument. The BBC is partly funded by the EU – can they be fair about coverage of Brexit? Experience would suggest not. Now in a free market, it does not matter if a channel is biased. Other channels will have alternate biases and you can choose which you pay for! While in the UK we can stull make these choices, we are still forced to pay for the BBC and its news service, and being free from advertising does give the BBC a strong advantage over its competition. The BBCs top watched programmes are things like Call the Midwife, Eastenders and Bake Off. These are not things that other networks cannot duplicate. In fact, the BBC is hardly innovative – News24 was a response to Sky doing it first, and ITV came up with the idea of reality TV with viewers voting. In the Bible, Paul tells us that the purpose of government is to keep its people safe and to ensure we have a quiet life (1 Tim. 2.1-2). 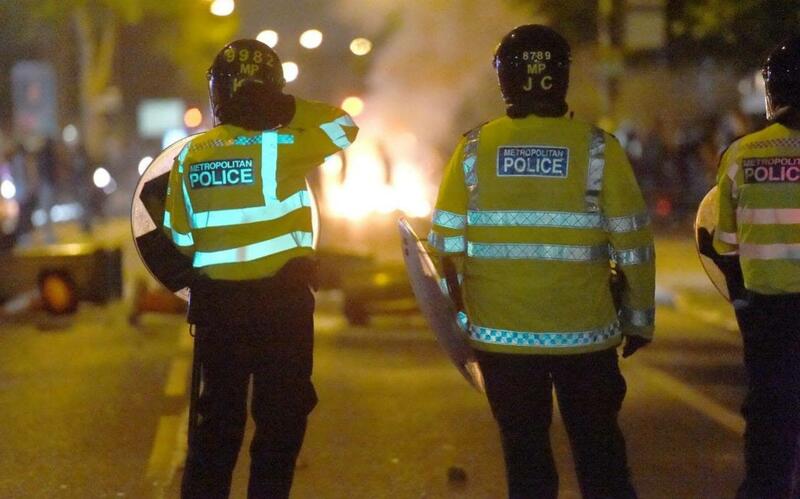 It is the purpose of government to have an army, a healthy police service, but not a TV station. It is not the purpose of government to provide for our needs. The truth is that the UK will continue to have great TV no matter what happens, but it is wrong that we are being taxed for something that is a service. So what would happen to the BBC? Well, there are two simple options, or a third option that is an amalgam of the other two. Firstly, the BBC contacts advertisers and raises money that way. It already has great infrastructure and so on, and then would be forced to compete competitively in the market with ITV and other channels. Or the BBC can develop a subscriber model as per Netflix or Amazon. Or a combination of both. If the general public generally value what the BBC provides, they would continue to pay for its services – then the BBC would be forced to make value, and be subject to the market forces. Then any celebrity or manager funded by the BBC would be funded by the subscribers to the service, not by the general public. Our tax burden would be relieved. Then the celebrities would not sound hollow when they say “I could go elsewhere and get more”, we would believe them and believe they were worth what they were paid. Generally, the public supports and values the BBC, however in the last survey I have been able to read (2004, ICM), we find only 31% of people think the licence fee is still a good idea, and 77% people who think the BBC should be paid for with either adverts or through some sort of subscriber system. At the moment, the licence fee is taken at gunpoint, and that is not healthy for any nation. Change is important here, and needs to be effected quickly. Our society will be freer because of it, and that is never a bad thing. It may be that some celebrities get paid more if that happens, certainly none of the BBC stars named in this report get paid as much as Ant and Dec for instance! And that is an issue for another day as it shows how out of touch with life our values are as a nation, but at least it would be money earned in the free market, given freely by free people who want to listen and watch. It wouldn’t be a regressive tax imposed on us, to then use TV to lecture us and patronize us. Right now in the UK, the BMA (the British Medical Association) has just voted to allow abortions after the current 24 week limit, and change the limit to 28 weeks. This means that they will now be lobbying parliament to change the law. The BMA represent well over half of doctors in the United Kingdom. Up until now in the United Kingdom, since 1967, abortion has been legal in the United Kingdom but only up until 24 weeks into the pregnancy. Technically in the United Kingdom, abortion is not allowed on demand, but in practise it does not take much for the doctor’s to decide that your mental health might be affected if the baby is born. Now up until now, the general direction of the debate was to reduce this limit. In 2008, there was a debate in parliament to reduce the limit to 20 weeks, but this was eventually rejected. 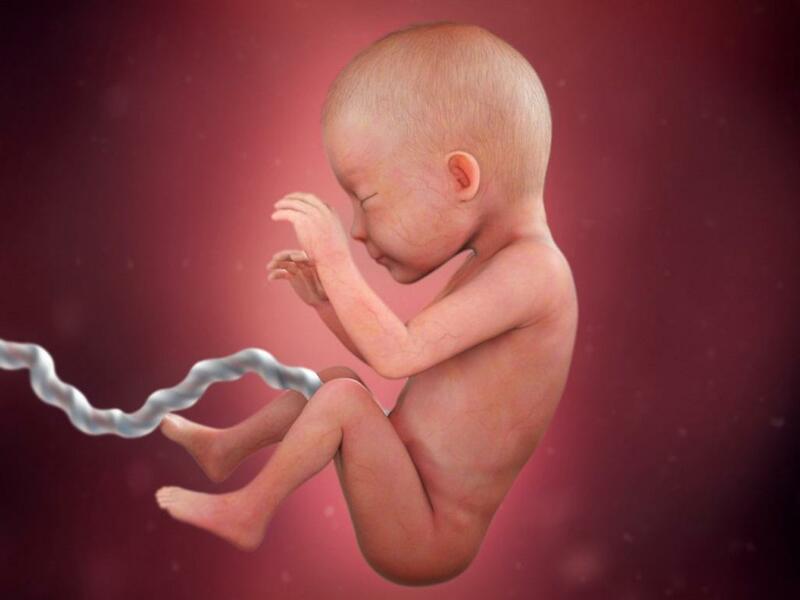 The reason why the general direction is to reduce the time is because advances in medical technology mean that babies are being born in the 22nd and 23rd week and surviving, therefore people are realizing that babies that age are viable, and even now babies are actually surviving abortions. Dr Martin Platt, who is one of the neonatologists at the Royal Victory Infirmary in Newcastle, is on record saying that the survival rate for babies born in the 23rd week is 60% in his hospital. However, right now the BMA have decided to start pressing the government to allow abortions up until 28 weeks. This is obviously a huge increase even on the 24 weeks currently allowed, and will allow women to have abortions will into their third trimester. The reason the BMA opened up this discussion is because the Royal College of Midwives (RCM) were part of a campaign led by a pressure-group called BPAS – which is the country’s largest abortion provider, and their goal is that abortion should be decriminalised all the way up to birth. Now not all doctors are happy with this debate – over 1200 doctors and medical students signed an open letter saying this decision is both extreme and unprofessional, and out of line of the views of the women in the United Kingdom. A poll in this country showed last year that only 1% of women wanted this increase, and 70% of women want the abortion time limit reduced to under 20 weeks. In fact, many doctors are very concerned that the reputation of the BMA in the UK will be damaged by this decision, some vowing to leave the BMA. As a Christian, I believe that life begins at conception. There are several instances where a child in the womb recognizes another child, or is happy, or is clearly shown to be alive. God told Jeremiah that He knew him when he was inside his mother’s womb. An unborn child is not a blob of cells, but a human being. It is a scientific fact that when the sperm has fertilised the egg, a new human with a totally complete human DNA has been formed. That is a human being, not a cluster of cells. It is, without interruption, going to grow to be a fully grown adult, capable of dreaming, and loving, and walking, and talking, and having children of its own one day! The way that children develop in the womb is one of the single most wondrous things to behold, both on a scientific and religious level. It is the closest thing to a miracle in the natural world. This marvel is ignored outright by those who are pro-choice and certainly by those who are voting for abortions up until 28 weeks. I believe that the church has a moral obligation to oppose abortion as it is the killing of an innocent human in the very place where they should be most safe. It is the taking of life of a human being, and it cuts across the idea that all life is sacred. Abortion is also a total failure to acknowledge the sacred bond between mother and child: the pregnant mother needs support and love and care, not an abortion. A secondary concern is the effect of the abortion on the mother. Obviously, the effect of abortion on the baby is death, and that is the key issue here; but, the fact is there are many short-term and long-term risks with abortion, and many women feel guilt, anger and great emotion pain post-abortion. Our culture emphasises the right to choose of the pregnant woman, and that is the normal justification of abortion, but what happens is many women actually feel they have no choice except abortion because we are not promoting child-bearing and rearing as a positive solution to an unwanted pregnancy. We need to give women objective information about the child in their womb, including their humanity. We live in a nation where there is no legal obligation for abortion counsellors to tell the woman about other options than abortion, and sadly many woman are not given the opportunity to actually make an informed choice. Yes, I believe woman have rights over their own bodies, but those rights must end the moment another human is alive inside their bodies. This is not a side issue, it is the biggest human rights struggle of your generation. There are many worthy causes, I am not sure any of them are as significant as the killing in the womb of over 500 innocent children a day. Today, we need to pray that the law-makers in the United Kingdom realize what the BMA are asking for is utterly opposed by the majority of people in this country, and that it is unscientific, and unhelpful. Pray that this nation awakens to the sanctity of life, and that our leaders start to realize how precious every human is from the moment of conception. We need Christians to educate, to inform, to lobby parliament and to help speak the truth in love to those people who need help in the moment of an unwanted or unexpected pregnancy. Tree of Life Blog – Dream Team Coming Soon! Last night I had a really powerful time of prayer, and out of the blue, the Lord started speaking to me about my two blogs – treeoflifeblog.com and benjaminconway.net. Up until now, treeoflifeblog.com was general teaching about church life and church ministry, and benjaminconway.net was about leadership training. And there are many of you that are reading these blogs, and I generally update once a week, on a Tuesday, travel schedule permitting. Well, benjaminconway.net will at the moment stay the same, but we are going to change treeoflifeblog.com so it is updated daily, starting this Monday. The purpose of the blog will be to create a dream team – it will inspire you to dream, and challenge you to live the dream. We are going to create a dream academy, that if you check in every day, you will find the keys you need to walk in your dreams. Every Monday will be Motivation Monday, and I will give you some inspirational and motivating to help you take on the world. Tuesday will be teaching Tuesday and be very similar to what was happening before. Wednesday will be Wisdom Wednesday, a pithy and practical piece of life advice that you can put into practice and see results immediately. On Future Thursday we will be sharing our personal devotional life and what God is saying to us about the future, specifically our futures. On Feel Good Friday we will give you some good news that will get you ready for the weekend and for church, then on Selfie Saturday we will post some selfies of what we are doing for the day. Finally on Support Sunday we will support you with what you are going through. We want this blog to become more interactive and more a place you can come and find the resources you need to dream big and walk in those dreams.